MICE stand for meetings, incentives, conferences and exhibitions. It is the next big thing in the travel and tourism industry. MICE tourism provides a great platform to explore opportunities of information exchange and business development with old partners, investors, customers and suppliers. MICE requirements of each business would vary depending upon their target audience, services/products offered and budget. With Biosphere Holidays you get the most targeted services that can be altered as per your needs and demands. We have a complete team of highly dedicated and qualified professionals who handle each and every aspect of MICE tourism for your organization. So whether you choose a domestic destination or an international destination, you get unparalleled services. The ideas and event plan are chalked out after taking the brief from the client. Once the final blue print gets approved, actual implementation starts. Corporate meetings are an indispensable part of the business world. Whatever be the business type corporate meetings are a platform to discuss business ventures, progress and sales and brainstorm about new ideas. There was a time when corporate meetings were confined within the walls of the board room or conference room. But not anymore! Today corporate meetings have taken a new turn. Ideally these meetings should be productive and ponder new strategies, but practically none of this happens. Corporate meetings if not planned and managed well can be very monotonous and you surely don’t want that. With Biosphere Holidays you get premium meeting planning services that can be customized as per your business requirements. We understand that each client varies from the other and so do they requirements. Corporate meetings are meant to focus on company strategies, goals and visions. It is essential that the planning is in place and the implementation done is impeccable. From resource management to equipments, hospitality to technical support, our team would help you in all of these and beyond. You can bank upon our experience and technical knowledge and rest assured you’ll get the best of the best services. At Biosphere Holidays we have a devoted team handling incentive travel services. Whether you are from hospitality industry or ecommerce industry, incentive travels have become the latest trend in the industry. We understand your needs and plan a travel plan accordingly. From effective planning to great implementation, each stage is completed keeping the client in loop. You will be assigned a manager who you can directly communicate with. Brief the team about your needs and leave the rest upon us. Conferences are an important part of the business world. Whatever be the business domain, conferences are common to all. For a successful conference there are various key points that need to be kept in mind. Here, hiring a professional conference management team is always recommended. Our experts know their job and will assist you at every stage. From a distance it seems that conference management is nothing but choosing the venue, setting it up and helping in post event wrap up. But there is more to it. Even a small mistake can jeopardize the entire event. Thus, quality checks need to be done at all stages. 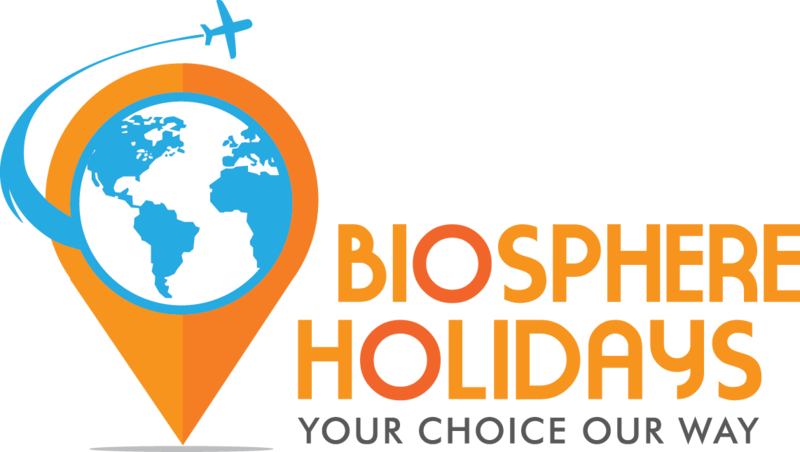 With Biosphere Holidays you can be assured that you are in safe hands. At Biosphere Holidays we offer premium conference management services. From venue selection to reservations, resource management to hospitality, you get it all under one roof. We are a name to reckon with in the industry. By seamlessly amalgamating our experience with technical know-how, we ensure that clients get the best of the best services at the most affordable price. The types of conferences may vary according to the business type, but what remains same is our dedication and commitment. We have a special team of experts who look into all the aspects and deliver services as per your needs. The team would be happy to customize the services as well. Each client is given individual attention so that their needs can be properly understood and catered to. Once the plan is finalized and approved by the client, the team starts working in full swing. Venue selection, catering, hospitality, airport/railway station transfers, accommodation, pre-post conference handling, conference room management, technical support, entertainment…you name it and we have it. 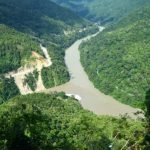 Over the year’s Biosphere Holidays has successfully handled hundreds of conferences from various domains – academic conferences, medical conferences, business conferences, training conferences and a lot more. Exhibitions are a platform that helps organizations from a particular field of business to showcase their latest products and services. It is closely related to trade fairs. And the common thread between the two is, great deal of planning and flawless implementation. With Biosphere Holidays you get the most sought after exhibition management services that take your exhibitions to a new high. Our services have always set quality benchmarks adhering to international standards. Biosphere Holidays is a reputed and eminent name in the industry. You can rely upon our customized approach and tailor made event planning services. It is essential that a corporate event is planned well in advance and executed brilliantly. After all it the reflection of your brand! With Biosphere Holidays you are completely sorted with all your corporate event planning needs. We have a specialized team who looks into each aspect and gives flawless services. We understand that a corporate event is different from an exhibition and MICE are different from mall activations. Thus, each event is designed as per individual client needs. We have a team of highly experienced organizers who would arrange each and every detail in perfect fashion.